The Senior Services Committee meets on the third Wednesday of each month from 3:30 pm to 5:00 pm. Please confirm all meeting dates on the Empowerment Congress Calendar, as some months vary. The next Senior Services Committee meeting is Wednesday, April 17, 2019. 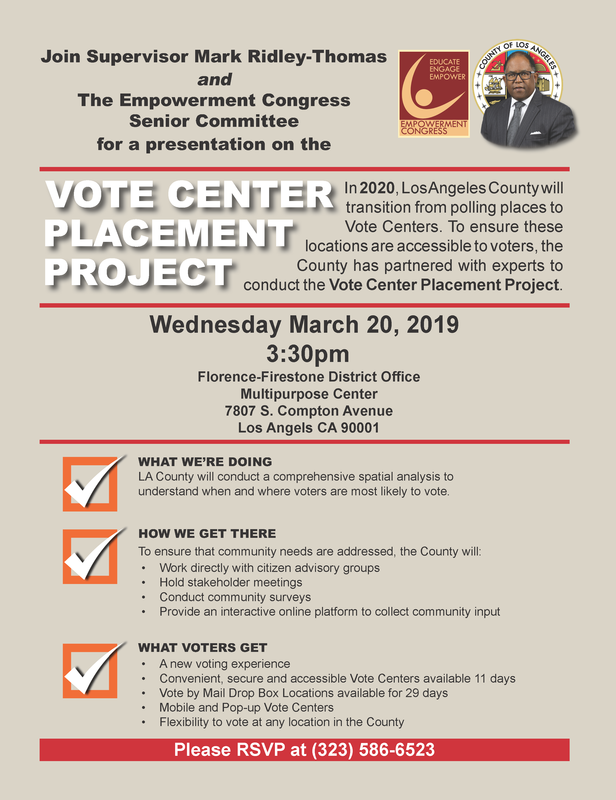 Join the Empowerment Congress Mailing List! © 2018 - Empowerment Congress. All Rights Reserved.